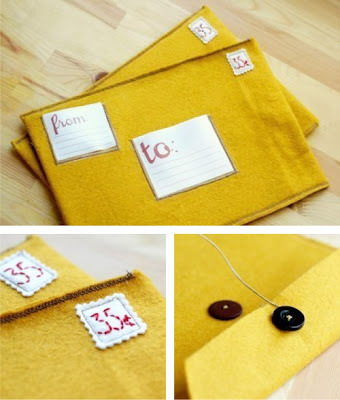 These adorable felt envelope creations were spotted over at Twig & Thistle. 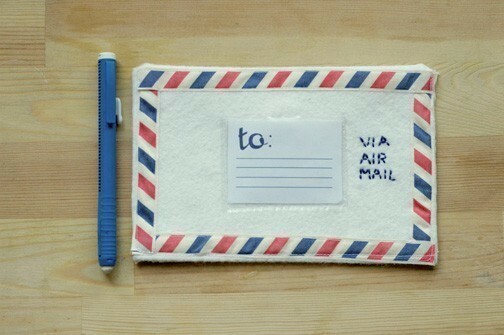 Wouldn't they make a wonderful keepsake for writing letters to Santa each year? The front of each envelope has a clear vinyl pocket that "to:" and "from:" cards can be slid into. Imagine pulling out the special envelope each year, and placing your child's letter to Santa inside. Perhaps Santa could write back, leaving the special envelope below the tree on Christmas morning!